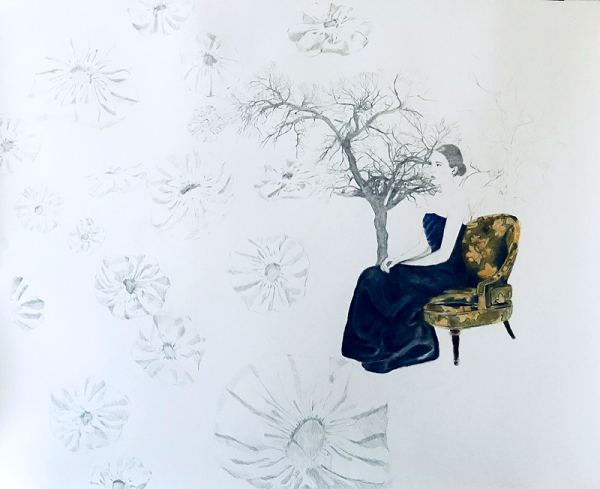 The University of Maine at Presque Isle’s Reed Art Gallery will present Unfolding, an exhibit focused on objects and memory by Jennifer Leigh Jones, from January 22 through March 16, 2018. The public is invited to view the exhibition throughout the show’s run and attend the Gallery Reception on Friday, February 2, from 5-7 p.m., which includes a talk with the artist at 5:30 p.m.; light refreshments will be served. This reception is being held in conjunction with the First Friday Art Walk. The Reed Gallery is located on the second floor of the University’s Center for Innovative Learning. In 2009, she was named “one of the Dallas Top Nine Artists at the F.I.G. to watch” in D Magazine. Her prolific work has been exhibited nationally. She has participated in over 80 art exhibitions, alongside several of today’s most renowned art figures, such as: Nato Thompson, Chief Curator at the New York-based public arts institution, Creative Time; Terri Thornton, an artist and Curator of Education at the Modern Art Museum of Fort Worth; Thomas Feulmer, Director of Education and Programming at the Rachofsky House in Dallas; Gavin Morrison, curator of the Fort Worth Contemporary Art Gallery; Janis Goodman, Corcoran College of Art and Design, Washington, DC; Dallas Art Fair co-founder Chris Byrne; Gail Sachson, immediate past Chair of the Dallas Cultural Affairs Commission and past Vice-Chair of the Dallas Public Art Committee, and many more. 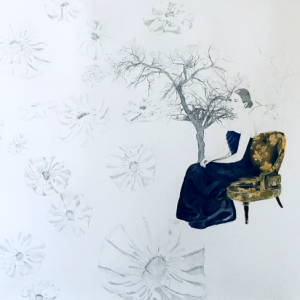 Her recent exhibitions include a solo show at Austin-Bergstrom International Airport in Austin, TX; Ex Post Facto, Warehouse Living Arts Center, Corsicana, TX; Dallas Art Fair, F.I.G, Ro2 Gallery; Texas Art Contemporary Fair, Houston, Ro2 Gallery. Jones has been named a finalist three times in the Hunting Art Prize, located in Houston.